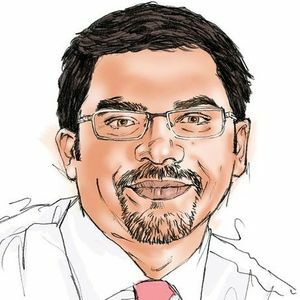 At a recent conference, I learnt about the Science of Improvement, and was struck by the lack of an improvement culture within my field of tuberculosis care and control. If we are serious about ending TB, we need to adopt and implement the science of quality improvement. There is something to be said about attending conferences that are not in one's field. Recently, I attended the 2018 Africa Forum on Quality and Safety in Healthcare conference in Durban. I got to meet and learn from legends in the field of Quality Improvement (QI), including Don Berwick, President Emeritus and Senior Fellow, Institute for Healthcare Improvement (IHI). I also took a day-long workshop on Improvement Science by Robert Lloyd, Vice President, IHI. It was a masterclass and a wonderful introduction to the field of QI. To top it all off, I had the privilege of going on a field visit to primary care clinics in KwaZulu Natal, to observe a tuberculosis QI program by the South African Department of Health (DOH). This is the first TB QI program I have ever seen within a national TB program (NTP). In this post, I want to share with you a summary of what I learnt from the IHI conference as well as the TB QI field visit. At the IHI conference, I learnt about the pioneering work of leaders such as Edwards Deming, Walter Shewhart and Joseph Juran. Thanks to their efforts, the Science of Improvement is today a well-established method to improve quality - whether it is for industrial manufacturing, or healthcare. According to IHI, the science of improvement is an applied science that emphasizes innovation, rapid-cycle testing in the field, and spread in order to generate learning about what changes, in which contexts, produce improvements. IHI’s methodology traces back to Deming, who taught that by adhering to certain principles of management, organizations can increase quality and simultaneously reduce costs. Based on Deming’s work, the Model for Improvement, created by Associates for Process Improvement (API), asks three questions — What are we trying to accomplish? How will we know that a change is an improvement? What changes can we make that will result in improvement? — and then employs Plan-Do-Study-Act (PDSA) cycles for small, rapid-cycle tests of change. 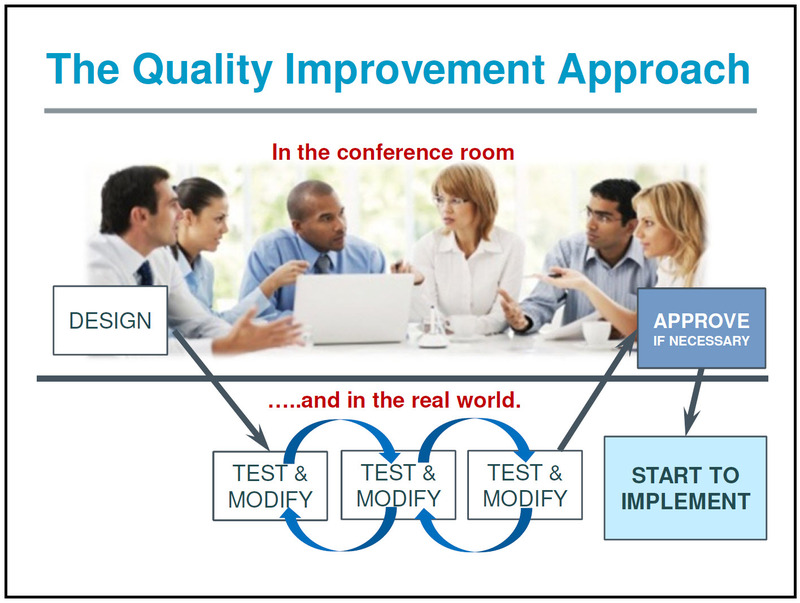 The graphics below, from the course taught by Robert Lloyd, is a beautiful illustration of the difference between traditional approach to planning and execution versus the QI approach to doing things. At the IHI conference, I saw presentations and posters from several fields in healthcare (e.g. reproductive & maternal health; newborn and child health; HIV/AIDS) on how the QI approach is being routinely used to improve quality of care. Sadly, there were hardly any presentations or posters on use of QI in my field of TB care. Even published literature on QI in TB is scarce, with the exception of Uganda, where implementation science has been used to achieve improvements in TB diagnostic cascade in the public sector. It seems to me that the entire science of improvement has bypassed my field of TB. Or rather, my field of TB care has largely failed to adopt the science of improvement. 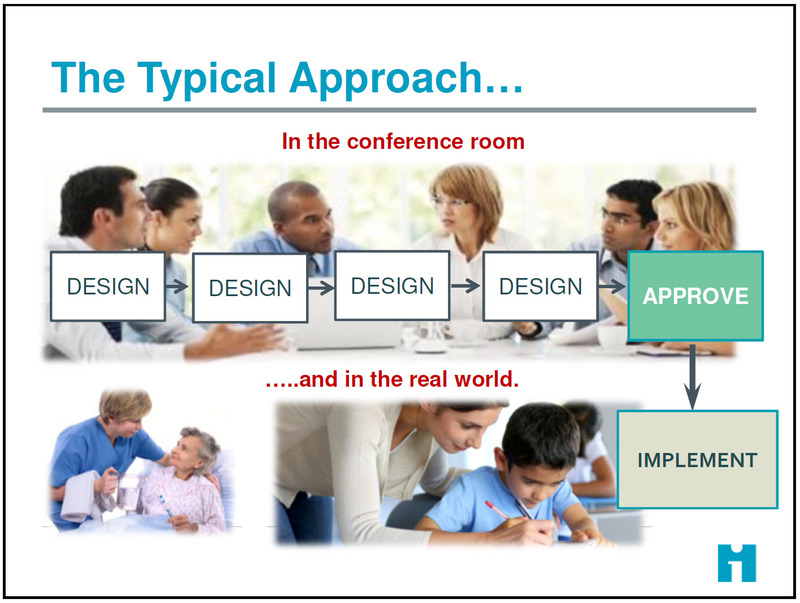 Planning and execution in TB, as I see it, is still stuck in the typical approach paradigm shown in the first image. Policies and plans in TB care and control are made at the global (e.g. WHO) and national level, and then implemented in a top-down manner, without rapid cycles of testing and improvement at the field level. Even when pilots are done in TB, it can take months, even years, before the results are fed back to make policy changes. I have rarely seen any National TB Program do what is shown in the second image. In other words, QI is not an integral part of most TB programs, even in 2018! The fact that most NTPs do not implement QI in 2018 is quite stunning, because if there is one disease that desperately needs quality improvement, it is TB! Consider the burden of TB and the incredibly high mortality rate. TB is now the leading infectious killer, and 1.7 million people died from this curable infection during 2016. Of the estimated 10.4 million TB patients, only 6.3 million patients were detected and officially notified in 2016, leaving a gap of 4.1 million. These 4.1 million patients were either not diagnosed, or managed in the private/informal sectors. While all high TB burden countries offer free TB care via NTPs, these programs have always emphasized coverage (e.g. DOTS coverage, or coverage of key services). Little emphasis has been placed on quality of TB care offered. So, what do we know about quality of TB care? Studies show show large gaps in cascades of care, across types of TB and countries. Patient pathways analyses show long, complex pathways to health care, private or informal sectors being the preferred first point of contact, and lack of adequate TB services at the primary care level. Simulated patient studies in 4 countries (India, Kenya, China and South Africa) confirm gaps in cascades of care, and show poor quality of care in both public and private sectors, with private sector faring worse. TB patients suffer high costs and long wait times while seeking TB care and receiving treatment. In short, we need a quality revolution in TB (please see this video, from my plenary talk on this subject). It is clear to me that the TB field urgently needs to adopt and implement the science of improvement. If we are serious about ending TB, we cannot afford to use old-fashioned approaches to design and execution. 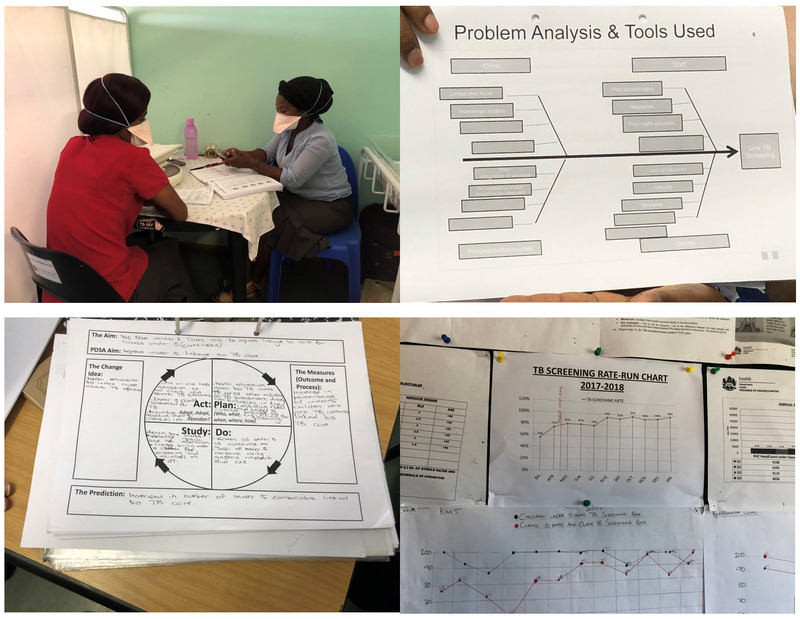 In this context, I was thrilled to visit the QI program within the South African public health system (some of the pictures I took are shown below). In 2017, South Africa published its new National Strategic Plan for TB, HIV and STIs (2017-2021). As part of this NSP, the South African DOH launched a QI program, in collaboration with partners such as Global Fund, IHI, Bill & Melinda Gates Foundation and USAID-funded implementing partners to address the gaps identified in the cascade of TB care in South Africa. In SA, just over half (53%) of all TB cases in 2013 were successfully treated, with substantial losses during TB diagnosis, linkage to care, and retention in care. The goal is to use an established QI methodology to address these gaps, in order to reduce mortality by 50% and incidence by 30% by 2022. The first phase of the project involved training, deep engagement and support to 10 high burden sub districts with a view to harvesting the most impactful interventions to close gaps in the care cascade. These interventions are then compiled into a change package, and systematically scaled up nationally over a 4 year period using the IHI BTS model, with an initial focus on high burden geographies. The project is intentionally designed to build capacity at the district management level to reduce reliance on external partners and increase the sustainability of the project. The SA DOH expects to see an improvement in quality, across the cascade of care in 2018 and plans to finalize the change package for scale up commencing 2019. I left South Africa inspired by what I saw and learnt about QI. While it is early days for the TB QI program in South Africa, I see this program as a pathfinder for other countries. Like South Africa, we need all high burden country governments to make QI an integral part of their NTPs, and address the gaps that have been identified in care cascades as well as patient pathways analyses. This will require a change in mindset among those who lead NTPs - a willingness to acknowledge the gaps in quality, and a willingness to address gaps in a systematic manner, with monitoring and evaluation built in. To address the issue of patient empowerment, the TB field needs to engage TB patients and survivors in designing a more people-centric system of care delivery. At present, NTPs do not routinely collect data on patient confidence, satisfaction, and user experience. Thus, TB patients are rarely engaged in designing TB care delivery systems. This needs to change. Patient experiences must inform ‘design thinking’ and ‘user centered design’ to improve TB services and enhance quality of care. Acknowledgements: I am grateful to IHI for the opportunity to attend and speak at the 2018 Africa Forum on Quality and Safety in Healthcare conference. I am grateful to Yogan Pillay, Lindiwe Mvusi and Nobesuthu Ramawela from the South African DOH for the opportunity to visit the TB QI program in KZN and learn from their experience. Lastly, I am thankful to Zameer Brey and Pren Naidoo at the Bill & Melinda Gates Foundation for their partnership and support.